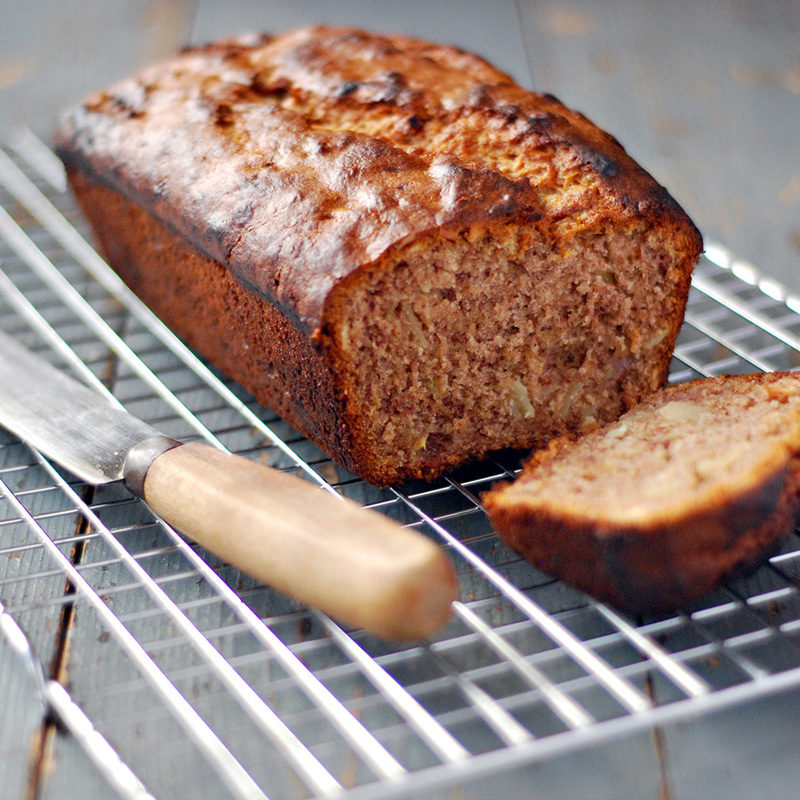 Banana bread is absolutely delicious, add almonds to it and it’s perfection!!! This recipe is super easy and takes no time at all to prepare. Give it a try, you’ll love it! Mix the mashed bananas with oil and sugar. Add the rest of the ingredients and whisk it well. Pour the mixture into a greased 2lb loaf tin. Bake it for 20 minutes for the bread to become brown. Cover the bread with foil paper and bake for another 25 minutes. To check if it’s ready tap the bottom of the bread with your thumb, it sounds hollow when it’s done.